You'll get both games for just $10 more than the cost buying MLB. The folks at 2K Sports have just announced what has to be one of the best deals going right now. The company will be launching a combo pack consisting of 'MLB 2K12' and 'NBA 2K12' for just $69. Considering that 'MLB 2K12' on its own retails for $59, this is a crazy big discount. The really odd thing about this, though, is that the combo pack is only coming to the Xbox 360. PS3 owners will, unless more information comes out, be paying full price if they want both. Perhaps it's a way to offload some extra copies of 'NBA 2K12' or simply a way to get more baseball games sold. Whatever the reason, 360 owners are winning out on this one. 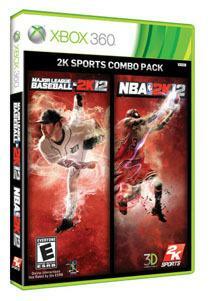 You'll be able to pick up 'MLB 2K12' and the combo pack with 'NBA 2K12' when the game launches on March 6th.